This item is not available for purchase online. Please call 3376621183 for more information. 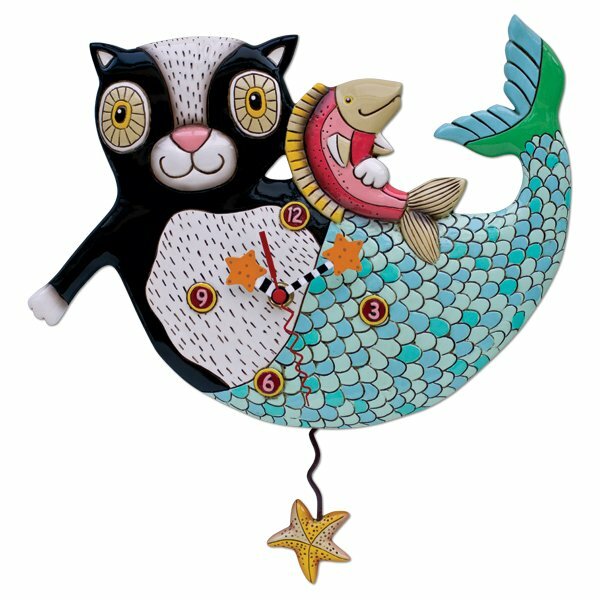 Allen Designs MERcat clock- Mermaid Cat holding a pink fish.